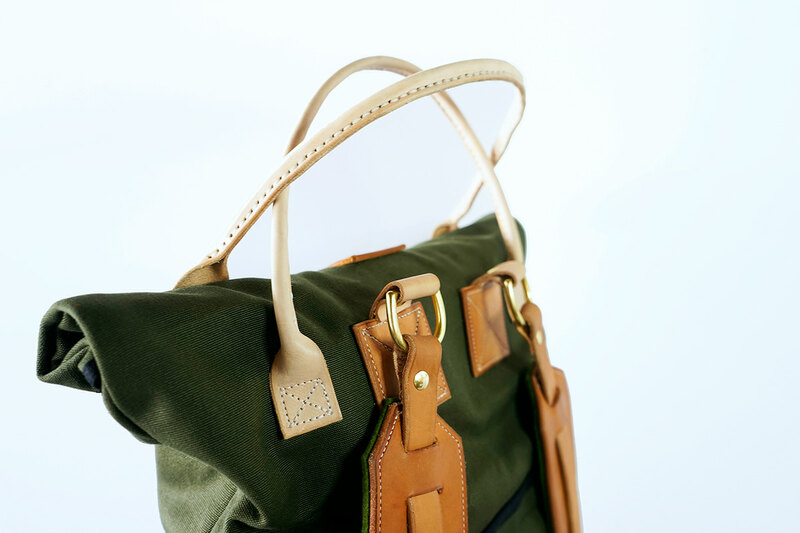 Background— The visual inspiration for this bag design was drawn from color palettes of desert vegetation, such as cacti, yucca brevifolia plant species and the color/textural landscapes of Joshua Tree. 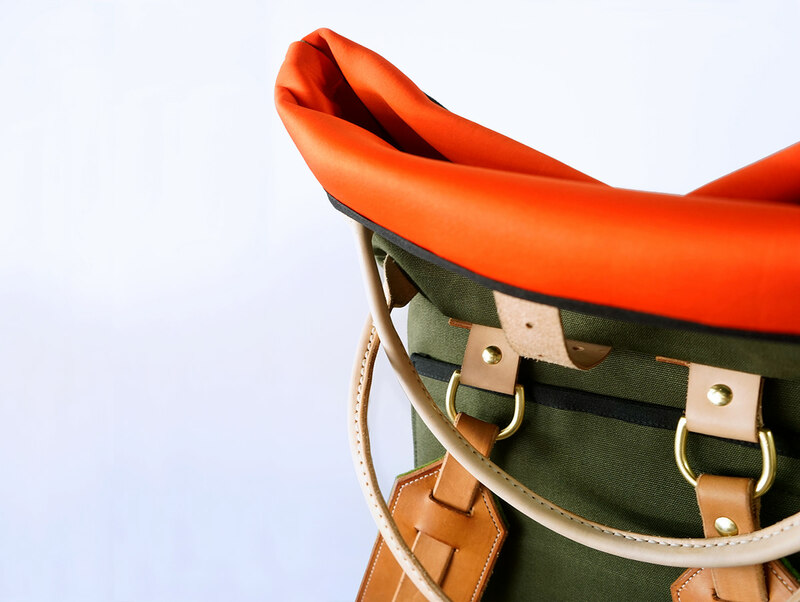 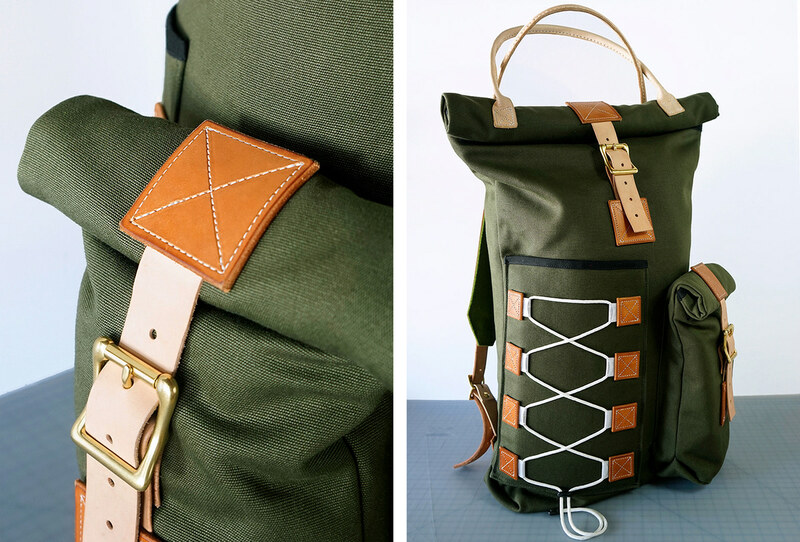 Intention with this design was to create a backpack that hits the sweet spot between the everyday, rugged commuter roll-top and the high-end, luxury bag. 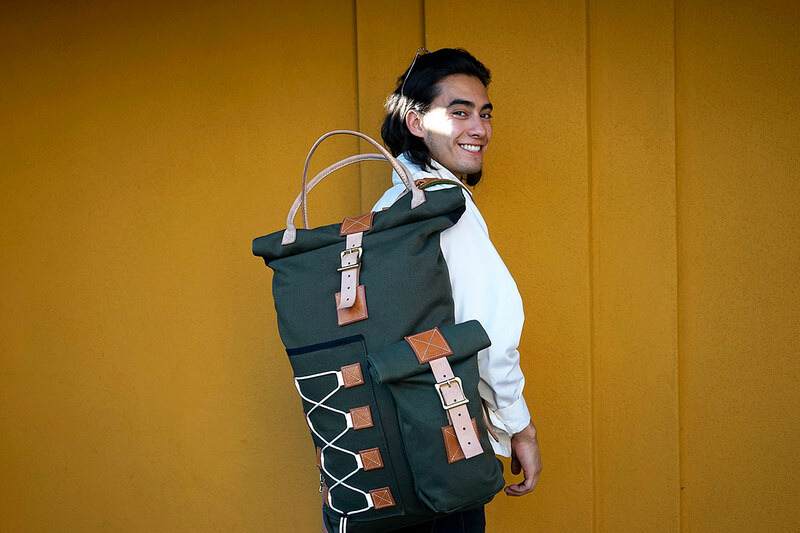 Outcome— The Yucca Backpack is a large rolltop that features hand-sewn leather handles, felt padded straps, box-stitched leather patches, roller buckle hardware, padded laptop pocket, and a laced drawstring front pocket.